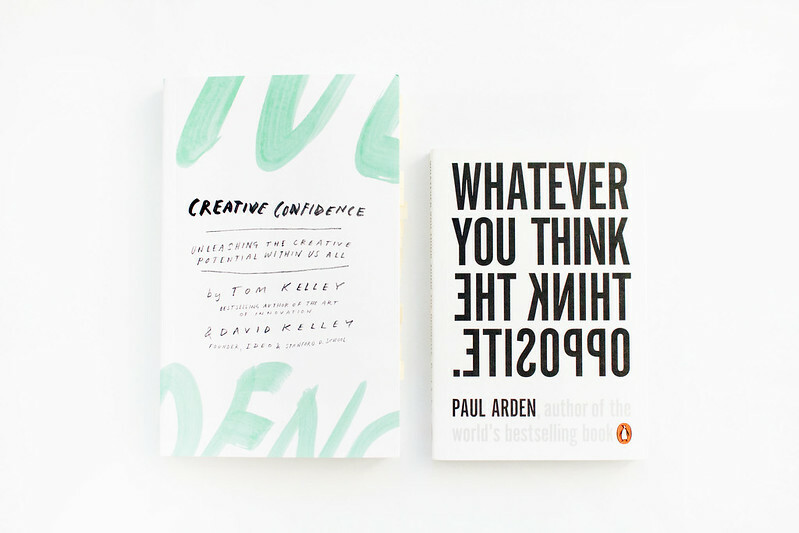 Paul Arden aims to provide off-beat advice on being a creative, however, there were a lot of points in this book that had me shaking my head in disagreement. Arden suggests "at twenty-eight it is a bit late to find out you are in the wrong job" and don't go to university because "for all your education, you will still be the office junior." Arden goes to to state he "feels sorry for these people" who go to university, and ends up coming across as rather ignorant and patronising rather than helpful. But there are plenty of points Arden raises that I do agree with, wholeheartedly; he suggests we need to take charge, give ourselves goals, push ourselves, and seek criticism not approval. Whatever You Think, Think the Opposite is an OK read but there are better books I would recommend reading instead. Creative Confidence: Unleashing the Creative Potential within Us All is more for those who feel uncreative yet wish to tap into their creative potential; Tom Kelley and David Kelley discuss the idea that creativity lies within each and every one of us, rather than being something you are born with. 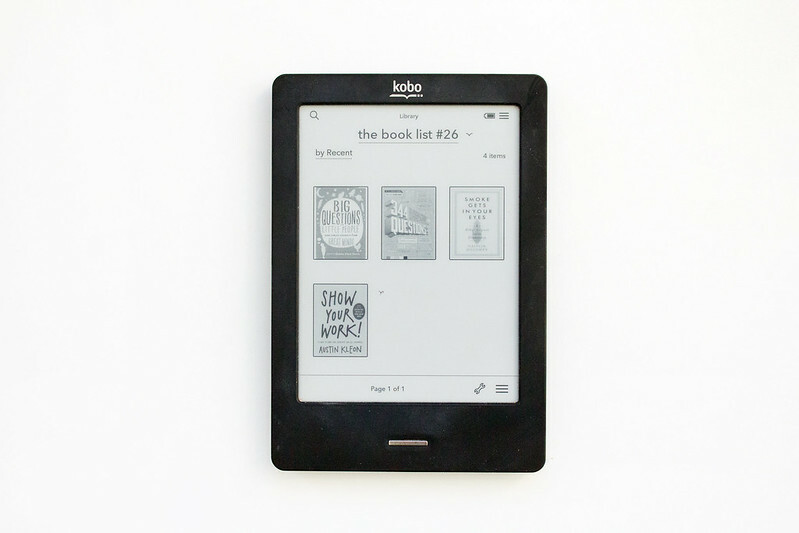 The authors provide principles and strategies, alongside drawing on lessons learned from their work at IDEO, that help draw out the creativity within us. I adore Austin Kleon's books for their simplicity and ability to punch you right in the feels when it comes to discussing creativity. While Steal Like an Artist deals more with being creative and making things, Show Your Work! is all about sharing what you have created. Kleon tells us to be "open, generous, brave, and productive" and encourages us to make use of our creative allies and the networks we form. Very obviously not a festive read in the slightest yet I chose to read Smoke Gets in Your Eyes over Christmas Eve and Christmas Day. An incredibly interesting book that takes the reader behind the scenes of the job of a mortician. Although I found Caitlin Doughty's personal story interesting and I enjoyed the flow of the book very much, at times I did wish she discussed more of the history of the industry and cultural rituals. While Doughty discussed them briefly, when relevant, it was always only ever a glance over the topics; I wanted more. If you're faint of heart, squeamish, or horrified by the thought of the processes of death - don't read this book. If, like me, you're morbidly fascinated by this topic (pun intended), go ahead and read Smoke Gets in Your Eyes, you won't be disappointed. Nothing life changing is within the pages of this book, however, if you're in the midst of creative quicksand, these questions might help pull you out. 344 Questions is a book full of questions to ask yourself about your life, your career, your goals and aspirations, and prompt you to make decisions on how you're going to achieve them. Colourful, imaginative, enlightening (maybe) and designed to get you to think creatively. Cute, informative, and written perfectly; a book adults can enjoy but clearly written with children firmly in mind. Some interesting questions answered by some amazing people (hello, David Attenborough) I really enjoyed reading this book on my journey home from a Christmas with the family. The book is light, entertaining, informative, and a little bit fluffy around the edges. I've just bought Whatever You Think, Think The Opposite, so hopefully the good will outweigh the bad! The other books here sound really interesting too! I didn't know Paul Arden had that book out. I've only ever read the 'It's not how good you are' one because I was given it. I really liked that one, it's a shame to hear that the other one is not so similar haha. Show Your Work! Has been on my waitlist for a couple of weeks now. Hopefully, I'll read it this month. I love how easy it is to read Kleon's books. Your book lists are the best! Paul Arden sounds like a prick. I really have to look at createtive confident, that is something I struggle with. He does amazing work but some of his opinions in this book really surprised. Plus most of his advice didn't really apply to the majority of creatives, only really to people working in the advertising industry. He has some valid points.. but this book was a bit rubbish. Most of his advice wasn't applicable to anyone other than those working in the advertising industry. I went to university and while I don't think it is right or necessary for everyone to go, I also don't think it's a waste of time like Paul Arden seems to think it is. I studied Media and Popular Culture and it has served me really well when it comes to marketing, branding, and advertising (which are the subjects I excelled in.) My degree helped give me the confidence I needed to start a creative business; I feel like it's partly the reason why I never doubted my skills or my ambitions. Like you said, it's just as much about life skills and experience as it is about actual education. So university might not be for everyone but that doesn't mean it's pointless. I found it to be less interesting than Arden's previous books; it's an OK read and some points are valid but a lot of what he says is only really applicable to people working in the advertising industry. Plus he says some really harsh and, in my opinion, untrue statements. Yeah.. I think I get what he was trying to say, but he said it in a really offensive way. A lot of successful people didn't "find their feet" until later in life - that doesn't mean it's "too late"! Haha I love the blatant honesty! Love the recommendations, will definitely check them out! Some of the things in Paul Arden's book seem kind of bizarre, I read his other one and thought it was pretty much all great. I actually think 28 is quite early, or maybe just about right, to find out you're in the wrong job! I think it's insane we're made to choose in our teens and expected to stick with that for the next 50 years. And I'll always be a massive fan of education. Paul Arden is a weird one, he usually has lots of awesome advice but a couple of things in this book made me angry. I think it's dumb to have to "pick" what we want to do at such a young age and although the education system doesn't work for everyone, I think it's ignorant of Arden to assume that just because he didn't enjoy/want to go to University, doesn't mean it isn't right for some people. This book showed him to have some pretty narrow minded views about certain things.